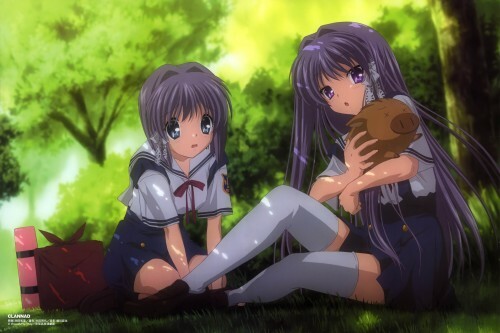 Features Fujibayashi Ryou (<3), Fujibayashi Kyou, and Botan. And I find it interesting how different Ryou and Kyou's eyes are, considering they're twins. And I wonder what happened to Botan? I just love the scenery, is so cool and relaxing. Quote by rogue-starI just love the scenery, is so cool and relaxing. I think the same. Why this girl are so pretty? Well, they aren't identical twins, so that's a reason. I guess it's just to emphasis that they are different. Anyway, Botan has never been fond of Ryou. XD The look on Ryou's face after she got rejected (again) by Botan is priceless. Or maybe Botan's all x_x because he ate some of Ryou's bad cooking? And Kyou's brilliant at cooking, so that's something else they are so different in. Very nice, thank you for upload..